Gail Morse, 57, attorney, for helping to secure civil rights for Chicago’s LGBT communities through her professional, community and political leadership. Gail H. Morse is a fierce advocate for securing civil rights for Chicago’s LGBT communities through professional, community, and political leadership. Nobody could sum up her passion for justice better than one of her colleagues, who remarked that “When it comes to marshalling support and resources for the LGBT communities, Gail is a force to be reckoned with: no one can say “no” to Gail. (I know, I’ve tried, she won).” A California native, she graduated from the University of San Diego in 1979 and earned her law degree from that university’s School of Law in 1982; she subsequently earned a Master’s of Law (Taxation) from the Georgetown University Law Center in 1986. She has resided in Chicago since 1995. Morse is a tax partner at Jenner & Block, LLP, a proud 2011 inductee into the Chicago Gay and Lesbian Hall of Fame. In part, Jenner’s widely recognized leadership on LGBT issues is the result of her leadership. In the late 1990’s she organized an internal group of LGBT attorneys to serve as a resource for one another, as well as for the firm, in business development and LGBT-supportive initiatives. Today that group has grown from an e-mail list to become the firm’s “LGBT Forum,” which Morse continues to co-chair, and which has become a leader in identifying how firms like Jenner & Block could work to advance LGBT equality not just internally, but also nationally. In 2002, Morse initiated the development of Jenner’s diversity newsletter, Equal Time, the first edition of which was devoted to Jenner’s publicly out attorneys, their practices, and their work on LGBT issues and community service. This was the first law firm publication focused entirely on LGBT attorneys. At Morse’s urging, the firm voluntarily ranked itself in the Human Rights Campaign’s Corporate Equality Index and, in 2005, Jenner became the first Chicago law firm to receive the 100% ranking, which it maintains today. Morse has worked with the Illinois Department of Revenue to implement tax filings for partners in Illinois Civil Unions and is frequently called upon as a resource regarding the tax effects of marriage equality. She has provided pro bono counsel to almost every LGBT non-profit in Chicago—including the Friends of the Chicago Gay and Lesbian Hall of Fame—and tirelessly serves as an informal resource for many who seek LGBT-friendly legal counsel. 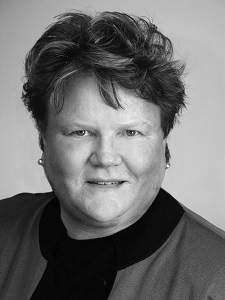 Morse was the first out lesbian appointed to the Cook County Commission on Women’s Issues, and to first participate in and subsequently be appointed to the Board of the Illinois Women’s Institute for Leadership. A consistent voice for LGBT inclusion in local and national politics, Morse was elected as an out lesbian delegate to the 2004 and 2012 Democratic National Conventions. With her spouse, Lauren Verdich, (also a 2015 Hall of Fame inductee), Morse is proud to have worked with Senator and President Obama to facilitate his “evolution” on the issue of marriage equality. She is also a member of the Board of Directors of Lambda Legal. In 2008, she was a recipient of the “Bella Abzug Woman of Honor Award” from the National Organization for Women for her work raising the visibility of the lesbian, gay, bi-sexual and transgender community and diversity issues in the workplace.